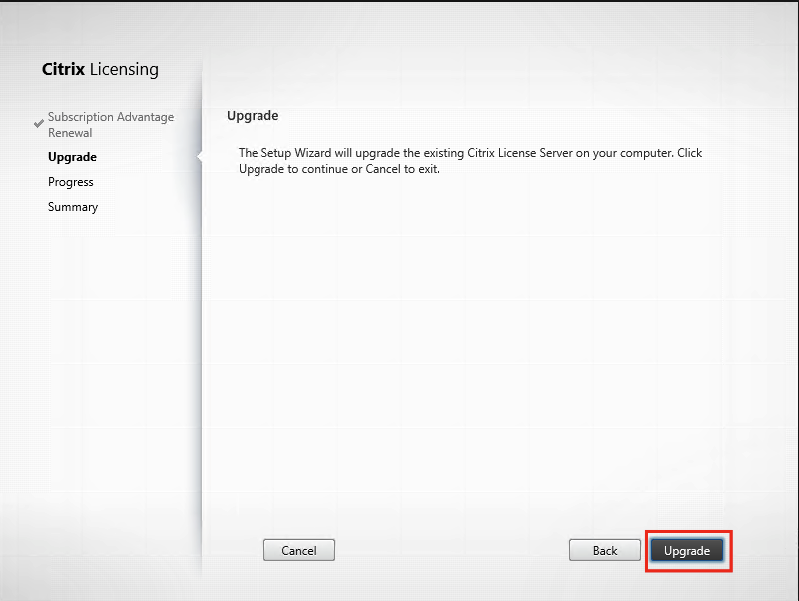 With the release of Citrix XenDesktop 7.11 a new version of Citrix Licensing Server is released. This new version is also the minimum required License Server version for Citrix XenDesktop 7.11. 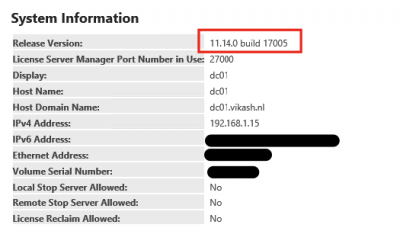 I already have version 11.13.1.2 running, so let me show you how to upgrade to version 11.14.0.1. The steps are easy and the upgrade should be without any hiccup. 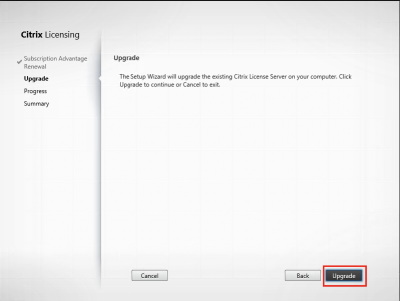 Just to be sure, make a backup of you existing License Server before starting the upgrade proces. 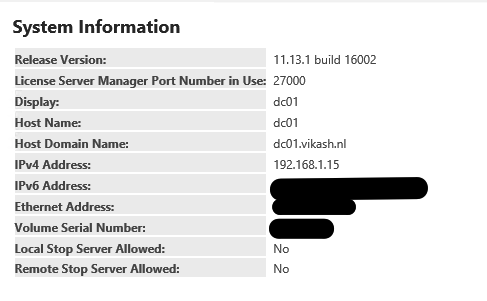 Check the current version of the License Server. Unpack the zip file and start the installer. 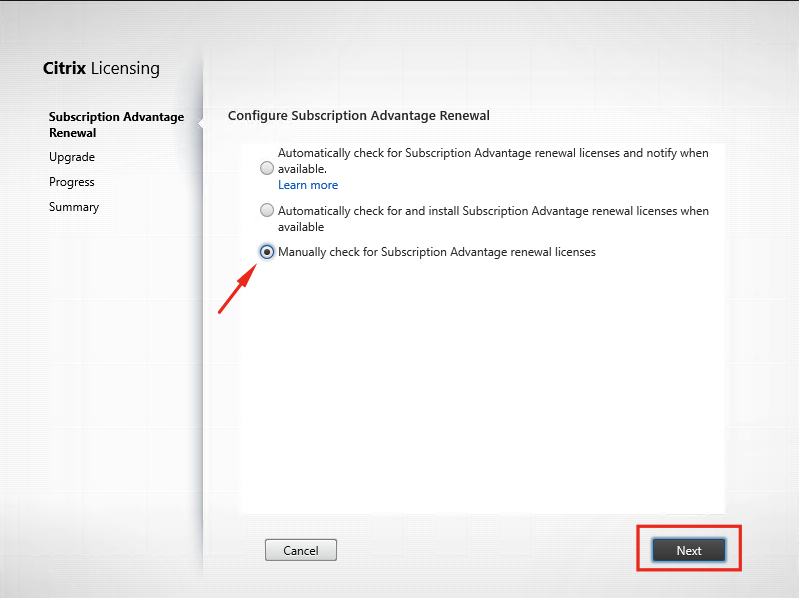 Because I am using demo licenses I choose to check Subscription Advantage (SA) manually. You can set it to check SA status automatically or even update it. Click on Next. 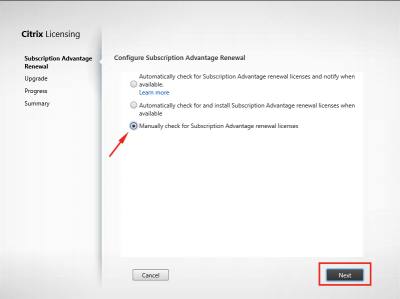 The installation wizard will detect the installed version of Citrix License Server and prompt you with the upgrade option. Click on Upgrade. 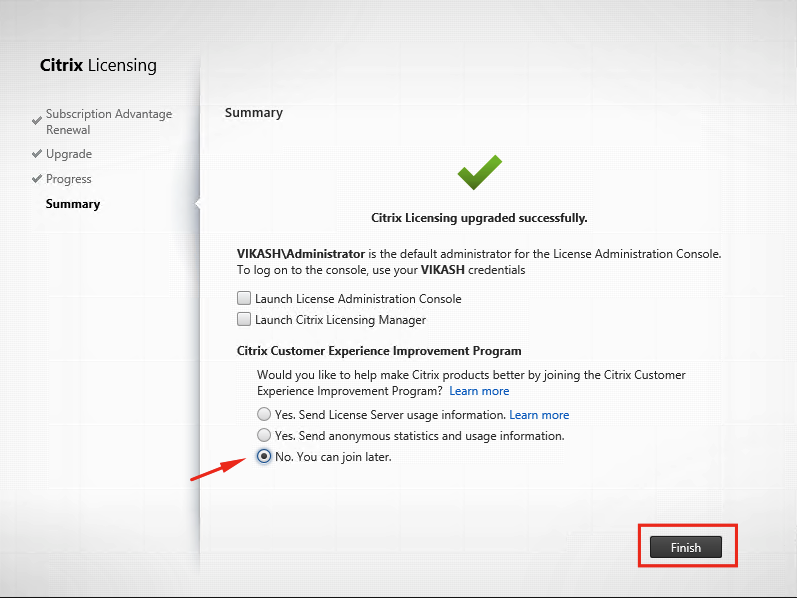 After the upgrade has finished, you can choose to participate in Citrix Customer Experience Improvement Program. I choose not to participate. Click on Finish. 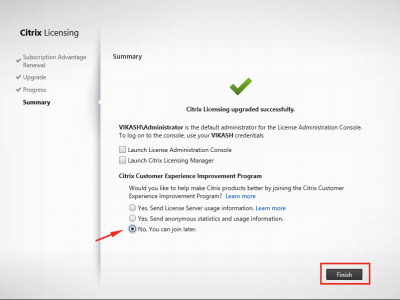 Login to Citrix License Administration Console and check the version. It should report 11.14.0 build 17005. So that’s it. Thanks for reading.